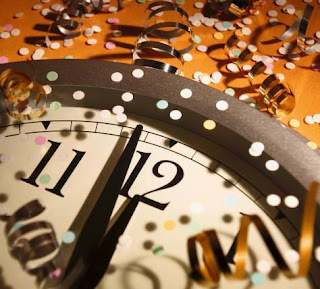 A new year means a new beginning, although as someone has pointed out, the only difference between an old year and a new one is a mere second when the clock is about to strike midnight on 31 December. So what is all this gloom and depression about getting one year older, and one step closer to kicking the bucket? We are only as old as we feel. 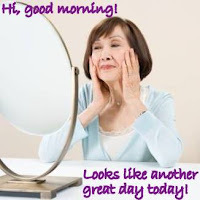 If we look at ourselves in the mirror when we wake up on 1 January each year, and see only sagging skin and greying hair, you can bet we will be seeing more of that before the year is out. The secret is to switch our focus, to look beyond, or deep inside that reflection in the mirror. We will see that youthful, playful spirit still dwelling within all of us. Try it. I have, and I can tell you it works! Begin each day with a SMILE at yourself in the mirror. Say 'Hi!' to that person smiling back at you. Not only does smiling make you look younger, it also brightens up the day. 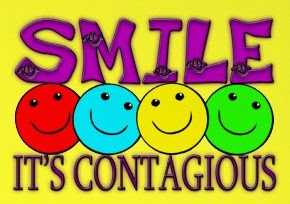 Then share that smile with the people you come into contact with during the day. Start with your family, then your neighbours, your colleagues, your clients, the waiter who serves you your lunch, the cashier who gives you your change, the security guard at the gate. And that nice stranger who smiles at you first. Or would you rather wake up grouchy and whining about your aches and pains, and complaining about how the world owes you your happiness? Do you want to spend the whole day spreading misery to those around you, and looking for people to wallow in self-pity with? What an utter waste of precious time! It's really all up to us, isn't it, how we want to live each day, each year.